Schema markup has been in existence for years. Yet it’s still one of the least used optimization techniques in SEO. Search engines understand it, but do you? If not, we’re here to explain how incorporating schema into your SEO processes will benefit your website. Marked up pages have shown direct correlations for higher rankings on the search engine results pages. Once you read this article, you will have a basic understanding of what schema is. As anyone who makes any part of their living by writing will tell you, it’s imperative that you write for your intended audience. You wouldn’t write at a doctoral level for a children’s book, and you wouldn’t leave out industry-specific terminology in a technical manual. Website copy is no different, only there is a twist. You’re not only writing for your intended audience, but you’re also writing for Google. Google My Business (GMB) is a free tool that allows business owners to create and manage their presence in Google search results, Google Maps, etc. Company owners use the dashboard to enter their business phone number, address, hours of operation, a link to your web site, photographs, etc. 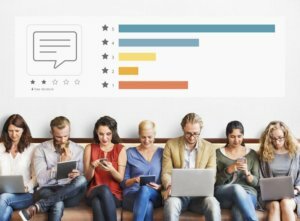 It also allows customers to leave reviews for your business, which, in turn, improves your online presence if positive. However, the process of verifying a GMB listing can be confusing so here is a step-by-step explanation of how to do it. How Do I Claim My Google My Business Listing? Businesses that are seasonal (such as an outdoor ice skating rink or pool) if they have permanent signage year-round. ATMs, express mail drops, and video-rental kiosks are allowed if customer service information is included in the listing so customers can get assistance. Businesses that are not yet open to the public. Rental or for-sale properties, vacation homes or vacant apartments. However, the sales or leasing offices can be listed and verified. Only the owner of a business or their designated representative, such as your Efferent Media account manager, can claim their GMB listings. Once a listing is claimed, the owner can add managers to the account. They can also give access to any digital marketing agency or SEO/SEM company they hire. When prompted, search for your business by name and address. If it’s not listed, click “None of these matches, add your business” and fill out the information fields. 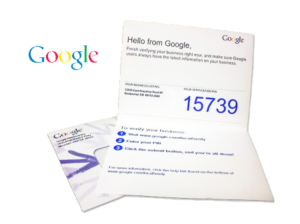 Next Google will verify your business one of four different ways – by postcard, phone call, email or business listing – but which one you can do depends upon your type of business. Verifying by postcard is the most common method. After creating your GMB listing, click “Verify My Business by Postcard.” Make sure your address is entered correctly and thoroughly, including any suite numbers. If it isn’t, edit the address on the postcard. You can also add an Optional Contact Name to ensure the postcard goes to the right person in your company. 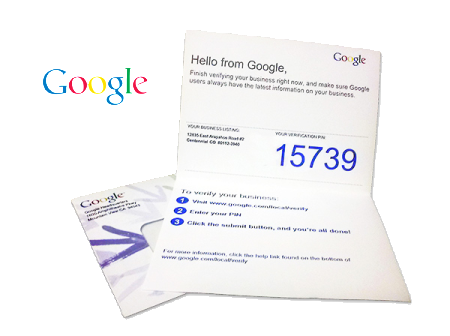 Click “Send postcard.”Google will mail you a postcard with a unique verification code. The postcard usually arrives within 5 business days, but can take up to two weeks. 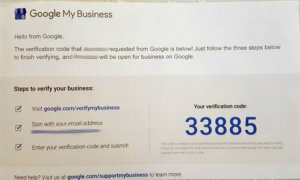 After requesting verification by postcard, do not change your business name, address or category in your GMB listing until after you have completed the verification process.When you receive your postcard from Google it’s very important to verify your account as soon as possible because the code on the card does expire. 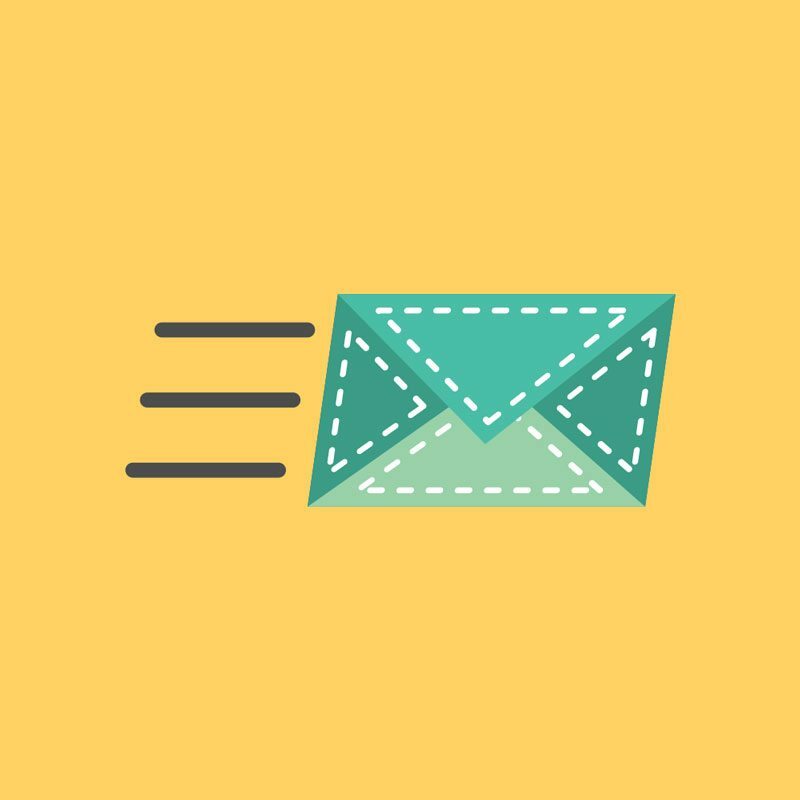 After receiving your postcard, call or email your Efferent Media contact. Give them the verification code on the postcard. That’s it! You’re done! Your Efferent Media representative will handle the rest of the verification process. After receiving your postcard, log into your GMB account. If you manage multiple locations, select “Manage location” on the one you want to verify. Click “Verify now” (or “Verify location” if you have multiple locations). Enter the verification code from your postcard into the “code” field. Once it says it’s complete, you can update your business information as needed. If you have multiple locations, select the one that hasn’t gotten its verification postcard. Click “Request another code” from the banner at the top of the screen. Certain business categories can be verified by phone and/or email. If your business meets Google’s criteria for those options, you’ll see a phone symbol as a choice for phone verification and an envelope symbol for email verification. Phone and email verification are faster than postcard verification so if either of those appear on your list of verification options, use it. For phone verification: Once you click the phone call option, Google will call you at the business number you provided so they can confirm that your details are correct. If your business is already set up in Google Search Console, Google might be able to instantly verify your business. Make sure you’re signed into GMB with the same account that you used for Google Search Console and follow instructions if that is presented as an option. On October 24 and 25th, members of the Efferent Media team headed into New York City, this time to the annual SMX East SEO/SEM Marketing Expo, whose programming is directed by Search Engine Land. At SMX East, representatives from over a dozen marketing companies were present, offering solutions for client reporting, service automation, and more. 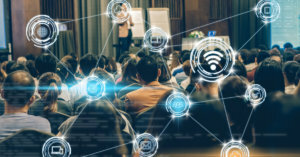 The two-day convention, held at the Jacob Javits Center, featured dozens of focused learning sessions for SEO and SEM. There was a wealth of information presented over the two days, and each member walked away with different perspectives on the convention, as well as some sweet swag! Each member of the Efferent Media team enjoyed meeting with the speakers and connecting with industry experts. Industry heavyweights include Barry Schwartz, Bruce Clay, and Eric Enge were in attendance, offering an uncommon accessibility. The two days spent attending this conference provided the team with the latest tactics and each member is looking forward to utilizing the insights that they picked up on behalf of Efferent’s client base. On October 19, 2018, several members of the Efferent Media team headed into New York City for the inaugural Transformation of Search Summit, which was sponsored by Search Engine Watch, one of the leading sources of online information for all things search related, and its sister company Click Z, the online digital marketing community. Efferent team members in attendance included SEO Department Manager Michael Roberts, Social Media Manager Megan Guard, Search Coordinator Joe Czarniecki, and Search Coordinator Eileen McGovern. Sessions were provided by industry heavyweights, with representatives from brands including LEGO, Microsoft, Hilton, Google, and SAP. For the Efferent Media team, some of the actual ideas weren’t new for them but rather, it induced them to look at existing concepts in new and different ways. 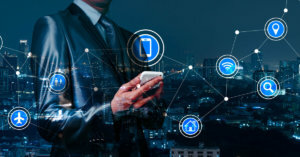 Being able to learn about real life applications of marketing principles enabled them to see just how effective some seemingly simple concepts could affect large scale businesses. The entire Efferent team is looking forward to putting these concepts to work for their clients and seeing how they can impact businesses of all sizes. So you’ve finally launched that site your web developers have been frantically working on for what seems like ages. As a Search Engine Optimization (SEO) Specialist what do you do to help? Here at Efferent we have an SEO site launch checklist that we like to use as a site is being launched. 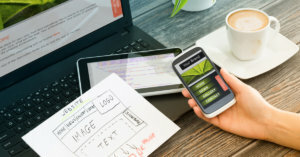 While many of these may be common knowledge to do before launching a website, it is easy to lose track of an important task or two. 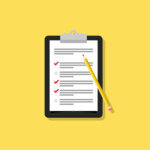 Following this site launch SEO checklist makes it easy to make sure all of these tasks are completed so you’re not left wondering why your site isn’t ranking. Download our Site Launch SEO Checklist PDF here! The pre-launch phase is mostly for on-site SEO. This is the phase that is more likely to affect your search rankings. If your on-site SEO is all wrong, it is going to be very difficult to rank for the terms you want to in search engines. Check All Links to Confirm they are all working: Faulty links or 404 errors can result in a poor user experience when a user clicks a link that sends them to the wrong place, or a 404 page. We recommend using a tool such as Screaming Frog which will crawl your site for all links, and identify 404 errors. We also suggest a manual check of links to make sure they are all pointing at the right places. Ensure there is no test content on your site: Another one that seems so simple it hurts, yet sometimes test content will sneak its way on your site. Checking for this is often done best with an extra set of eyes to make sure all content on the site makes sense and isn’t gibberish that provides no value for humans or, more importantly for SEO, bots that crawl your site. Confirm that all images have ALT tags: Alt tags or alt text provide a description of an image to people who cannot view the images in their browser. Alt text is also useful for telling bots that crawl your site what the images are as well. If these images have alt text that is relevant to your keywords, it is likely to give your site an SEO boost. However if the images on the site don’t have alt text, they might look good and provide a better user experience but they provide zero SEO value to your page. Titles and Descriptions Optimized for all pages: Titles and descriptions are one of the biggest on-page factors for SEO. These can be slightly tricky from an SEO standpoint because they not only have to be effective enough for bots recognize them so they show up high in the search engine result. But titles also have to be compelling enough for someone to click on them when they see it on a search results page. In any case, make sure they are there otherwise search engines, such as Google, may choose whatever information on the page their algorithms decide is most relevant. This may seem like a good thing but can ultimately harm your optimization efforts. Titles and Descriptions should also be monitored and tweaked as time goes on to make sure they remain optimized. Ensure <h1> tags are used and optimized: <h1> tags are a huge factor for ranking a page on a search engine, but what is an <h1> tag? According to pearanalytqics.com, “The header tag, or the <h1> tag in HTML, will usually be the title of a post, or other emphasized text on the page. It will usually be the largest text that stands out.” An <h1> has a lot to do with SEO because it is one of the main factors in telling a bot that is crawling your page what it’s about. While some WordPress plugins such as Genesis will actually put the document title as the <h1> in there for you, you should ensure that an <h1> tag appears on every page. <h1> tags should ideally only appear once on a page as well. Multiple <h1> tags can confuse a bot that crawls your page and cause you to get penalized in search results. Make sure “Thank You” pages are disallowed in Robots.txt: Thank You pages are an excellent tool for a site to track conversions. However, there is really no reason for them to appear in a search for your site. It is best practice to disallow these pages to appear in a search as someone clicking that result will skew conversion recording data. They provide little to no SEO value to your site. Discourage search engines from indexing this site box unchecked: This should be one of the last tasks completed before launching a site. If this box is checked, it discourages all search engines from crawling your site at all, which is an SEO nightmare. In WordPress this box is located on the sidebar on the left in the Reading section under Settings. Simply make sure the box next to “Discourage Search Engines from indexing this site” doesn’t have a checkmark in it and you’re all set. Most of the tasks in this part of the checklist involve setting up Google Analytics, Webmaster Tools, and other monitoring tools for your site. 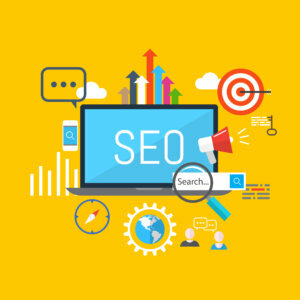 SEO is not a set it and forget it business. Algorithms are constantly shifting and competitors will also be gunning for the same keywords you are so it’s important to set this software up to monitor and analyze how your site and individual pages are doing. 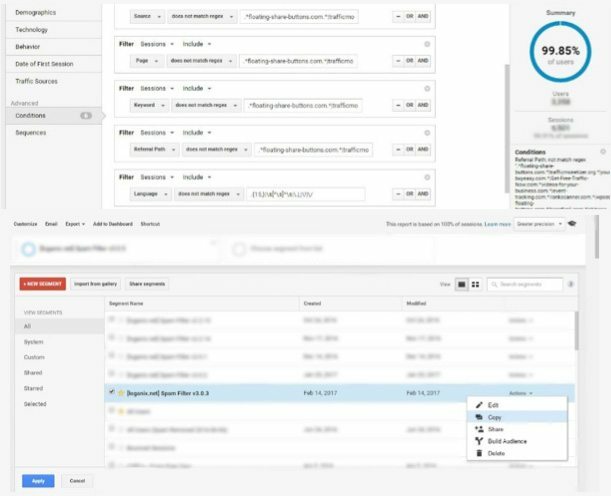 Confirm Analytics Connection to Your Site: Google Analytics is going to be one of the first things you’ll want to do for your recently launched site. Setting up Google Analytics is pretty simple for WordPress. Simply put the Analytics tracking code supplied by Google into the header code for your site, and confirm through Google that it’s set up and you’re good to go. Set up Google Webmaster Tools: Webmaster tools contain some of the most useful tools you’ll find as an SEO Specialist. Setting it up is super simple. Simply claim the site on search console by verifying the Google Analytics code on your site. Submit a Sitemap for Submission to Search Console and Bing Webmaster Tools: This step will require making an XML sitemap for your site. XML sitemaps can be made quite simply by a sitemap generator. Simply download one of these plugins, put the link to your XML sitemap in your site’s robots.txt, and submit the sitemap URL to Search Console. Submitting to Bing Webmaster tools is just as simple. Just log into your Bing Webmaster Tools account and submit the same sitemap you just submitted to Google. 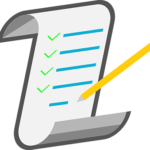 Submit your site for search engine submission: Probably the easiest task on this list. Simply go to this URL, insert your site’s URL into the bar, prove you’re not a robot to Google, and submit! While Google will likely get to this task eventually itself, it’s very simple and provides assurance that Google knows your site is on the web now. Make all URLs Static: When switching the site over from the development site to the final product, sometimes images, or links will still be pointing to the development site. Use a tool such as Screaming Frog again to crawl your site, and look at all internal and external links to make sure the URL they are pointing at is the static one. Block relevant IP addresses in Google Analytics: In the beginning of a site’s presence on the web there will often bea fewf visitors. To make sure your Google Analytics results aren’t being skewed by you or your clients checking out the shiny new site, go to Google Analytics and Filter out the IP Address where you do most of your browsing, and if you can get it the IP address of the client. To do this, go to your site’s page in Google Analytics admin section. Click Filters under the View Section, add a filter, set the filter type to “exclude”, select source or destination to “traffic from the IP addresses”, select expression to “that are equal to”, and enter the IP addresses you wish to block, and click Save. Grant Account Managers, or other relevant co-workers access to both Search Console and Google Analytics: In the event someone else needs access to the valuable data collected by Search Console and Google Analytics, other people should be able to access it if you are unavailable. Grant at least another person access to these tools as a fail-safe in the event the main account owner is sick, or inaccessible for whatever reason. Set Target Area for Website in Search Console: This option can be found under Search Traffic: International Targeting: Country, and then clicking the box to target users in whatever country you’d like to target. This will prevent people who can’t possibly be a target client such as someone doing a search in China stumbling across your New York based contracting website. After completing all of these tasks, you will be on the right track to getting to the top of the search rankings. 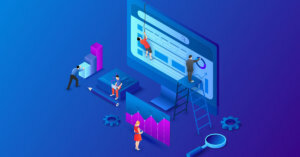 While it will take a lot more work than this, such as link building, and further optimizing your on-page efforts, by completing the tasks in this guide your new site will be ready for success. If you’re looking for a trusted Digital Marketing Agency to get your company higher in Search Engine Result Pages, increase engagement in your social media posts, or run a pay-per-click (PPC) campaign to increase your leads Efferent Media wants to help! Fill out our contact form, or give us a call at 631-867-0900. Whether you call it referral spam, ghost spam, fake traffic, or just plain old spam; filtering out bogus traffic from your Google Analytics data will help ease a few headaches and give you a better idea of the legitimate traffic coming to your websites and/or your client sites. 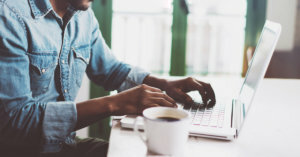 The technique by spammers of sending Ghost Spam to a site is commonly believed to be a form of “marketing” tactic meant to entice a site owner (or anyone with access to the analytics data) to visit the referral URLs of the fake visit to then sell a service, make money off of an affiliate link, or to possibly infect their computer with a virus, according to the Google Advertiser Community. At Efferent, our SEO team uses segments which is a function, set up in Google Analytics. One of the segments we use is designed to remove some of the more common and pervasive spam referrers from our data. This way, we can both see and track the rise and fall of spam issues through certain segments while also being able to take out most, if not all, of these spam referrers when necessary. Unqualified spam traffic can cause reporting on your bounce rate to spike up, and can give you false readings on sessions and page views. They can ruin reports for best days and times for traffic to your sites, skew your conversion metrics, and more. The last thing we need is to be compiling reports for our clients with false data included. Removing these issues from our data gives us a clearer picture of what is really happening on our client’s sites. It can be tough seeing precisely how recent site updates, link building efforts, or local outreach have affected traffic over the past quarter when you’re wasting time sifting through lines of Spam-referrer.xyz, Spam-referrer-2.xyz, Spam-referrer-3.xyz, and so on. While some of these spam referrers, the site or space which is sending the spam traffic to our clients’ sites are easy to recognize and remove (I’m looking at you Vitaly Rules), sometimes just trying to determine them by name of site is less obvious. Normally though, we can look at the metrics to help us better differentiate between spam and just poor traffic. 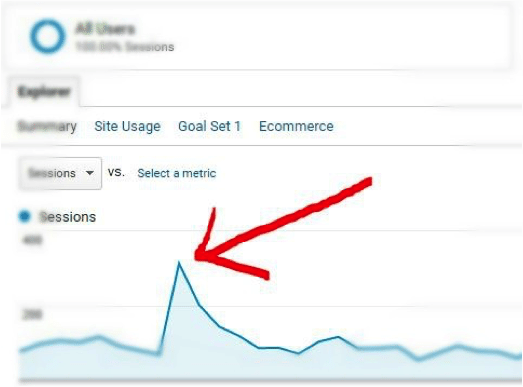 If you look in Google Analytics at Acquisition > All Traffic > Source/Medium you’ll see that spam referrers almost always appear to report a 100% bounce rate, 1 page per session, and zero average session duration. Using this data, you can start to build up your own spam-free referrer segment for your website or your clients. If you’d rather take a quicker approach that will cover a larger amount of potential spam referrers but also possibly not filter everything that is specific to your site, we use the spam free referrer segment from Loganix as a basis for our segment. The Loganix spam segment is updated regularly, covers just about every unqualified spam referrer you could think of, and is simple to implement. If you don’t mind semi-regular emails from the company, then it’s a great way to get a head start on clearing out these analytics issues. Once you’ve got that running, adding new spam referrers to your segment will require a few minutes and some copy+paste into segment conditions. Just be warned, it’s possible to accidentally segment out all your traffic or the wrong traffic…. so it’s usually best to copy the segment before editing anything. This way your original version is untouched if anything goes wrong. When adding new information to your segment, make sure it gets added into the correct place (whether that be referral path, source, etc.) and don’t forget to use the asterisk wildcards (*) to make your life easier. With the added and/or updated referral spam segment, you can now get cleaner more accurate reporting for your site. There’s no more sifting through the dregs to pull out that hidden gem. Let the tools and options that Google already offers in analytics do the job so you can get right to the good stuff. For more help on cleaning up your data or help with your own website or business, don’t hesitate to give Efferent a call or email.